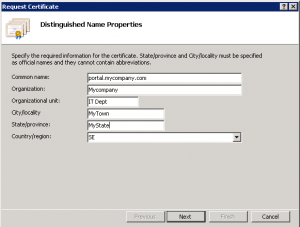 This post will describe how to replace a standard self-signed certificate in the SSP portal with a certificate from a trusted source and correct defined subjectname to get rid of the certificate warnings every time your end-users access the portal. We don’t want them to see this do we? The first question you need to ask yourself is: What URL should my end-users use? The second question is: What computers will access the portal? 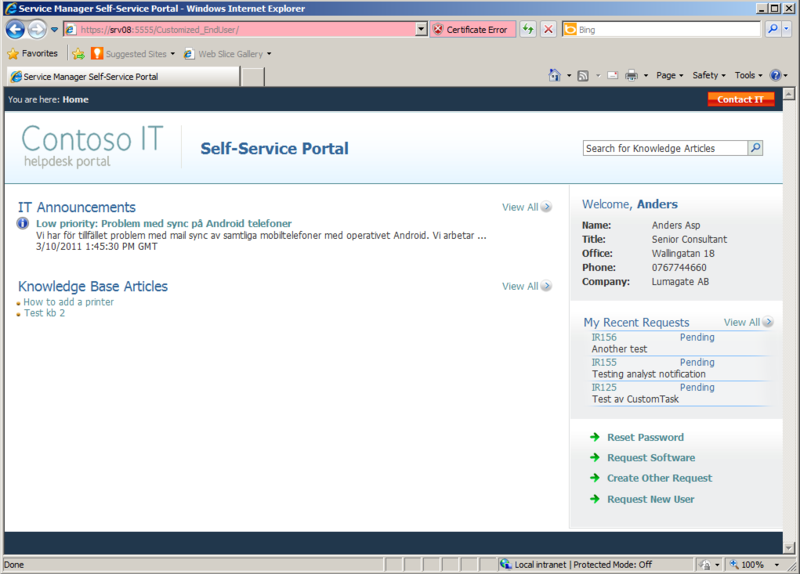 In most cases, the portal will only we available for internal use since it requires an AD-user to be logged on. If it should be accessible from computers outside of the company network, you will need to buy a commercial certificate from an certificate provider that are trusted by most computers (VeriSign, DigiCert for example). 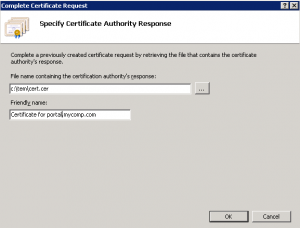 If your company has an internal Certification Authority-server and a PKI-infrastructure already in place, that would probably be the best solution to request a certificate from if only your Company computers will be accessing the portal. When you are ready, you must begin with creating a certificate request. This request will contain all properties that the certificate will contain. 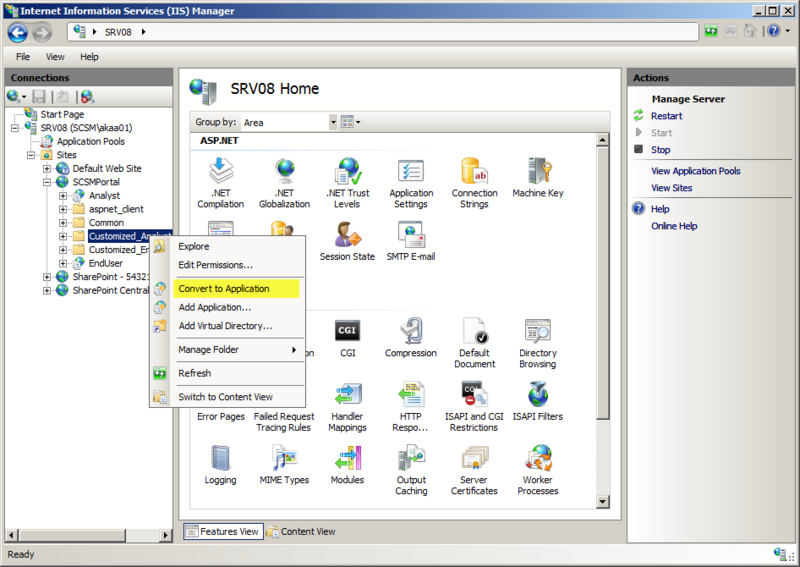 Open IIS Manager on the SSP server. 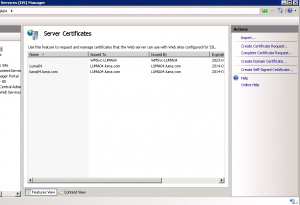 Select the servername in the left column, and then doubleclick Server Certificates in the right column. 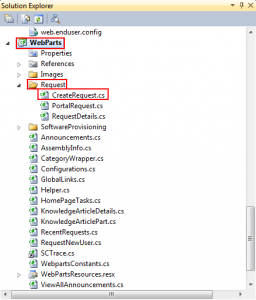 Click Create Certificate Request… The wizard starts. Enter your company information here. 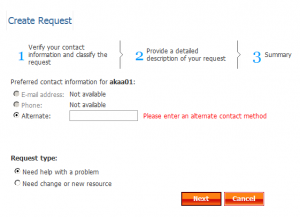 The important part is Common Name, as this will reflect the domainname in your URL. If you are planning on buying a commercial certificate, it’s important that the other fields here matches your companys registered information. Change the bitlength to 2048 as this is the minimum accepted size many use today. 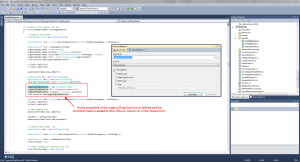 Select a location to save your certificate request to a file. 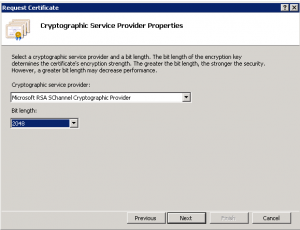 You request is now saved to a file, and in the background a private key has been created on the server that will later be used in the certificate. Now take that textfile to your certificate authority, they will use the content for producing a certificate. 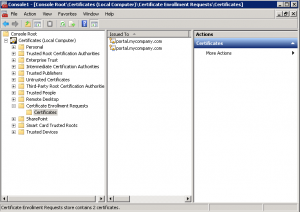 You will then receive a certificate with only a public key from you certificate authority. Take this file and copy it to the SSP server. 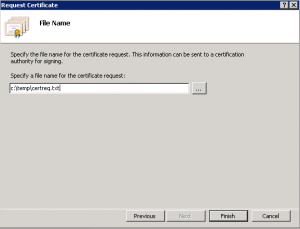 Select the certificate file you recieved from you certificate authority and enter a friendly name. The friendly name is visible in the “Name” column in IIS Manager. 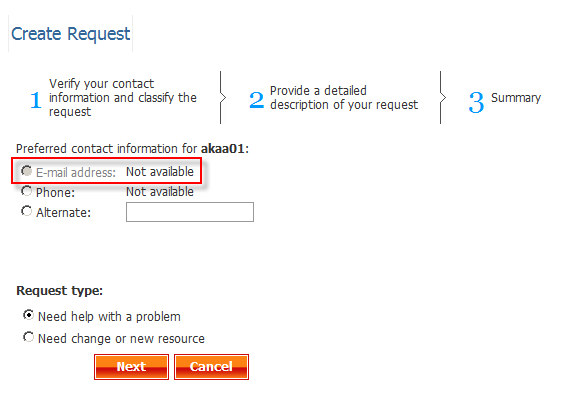 Now you might recieve an error message, however it’s a false alarm. 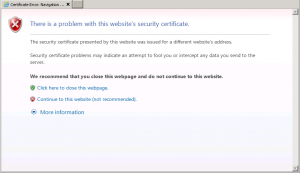 If you refresh your IIS Manager you will see that the certificate has been added to the list. 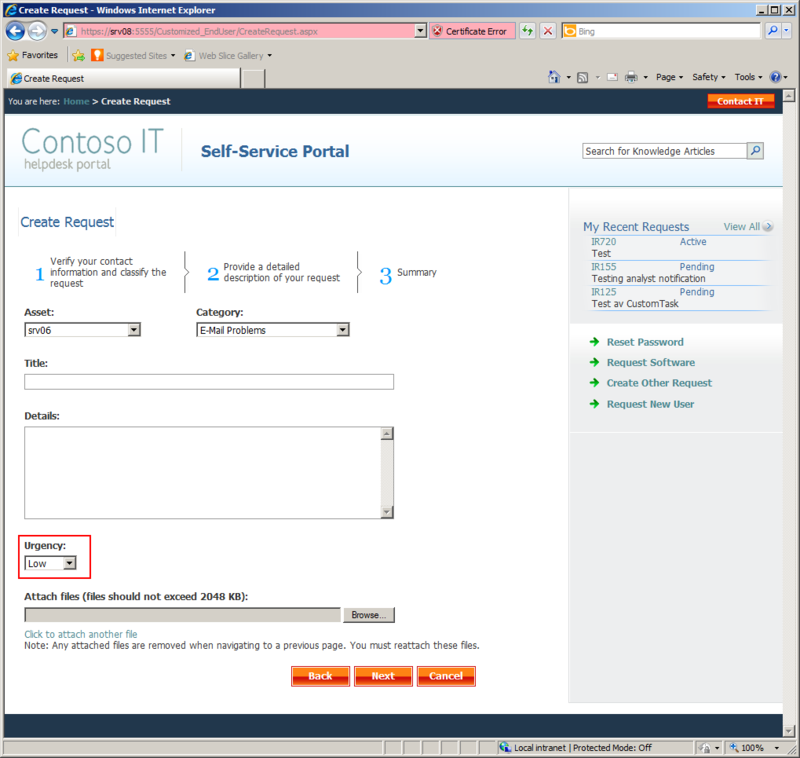 Back in the IIS Manager, expand the Sites-container and select Service Manager Portal, and click Bindings. 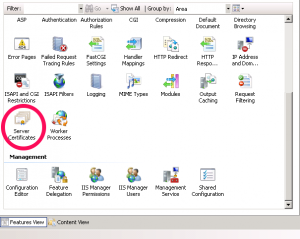 Select the https binding and click edit. 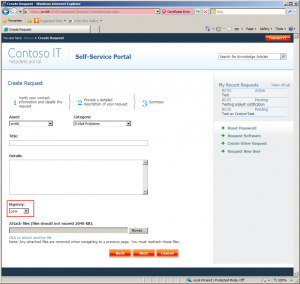 In IIS, double-click on Application Settings for the Service Manager Portal-site. 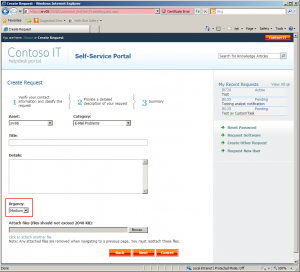 Update the SMPortal_WebContentServer_URL value to reflect the URL in the new certificate. 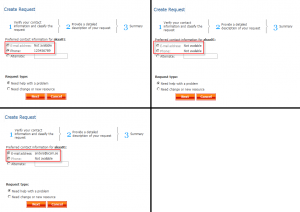 This will prevent you from getting errors when opening Knowledge Articles on the portal. ..and you are all done! 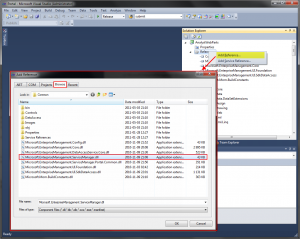 When the request file is created, at the same time a private key for that upcoming certificate is created. 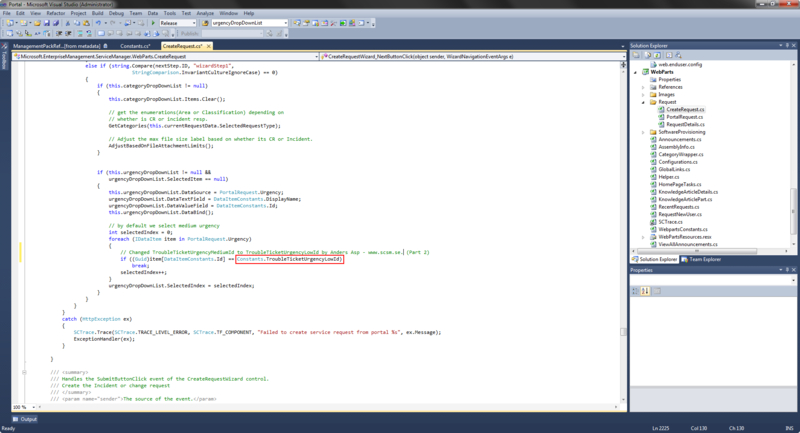 You can see it if you open up mmc.exe, add the Certificate snap-in(Computer Store) and look under the Certificate Enrollment Requests. 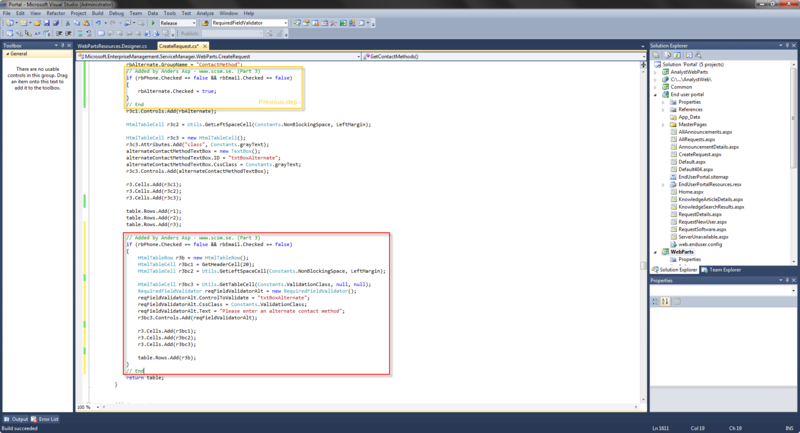 Here is the private key that just been created. They will later be merged together with the public key in the .cer file you recieved when you run the “Complete Certificate Request” process. 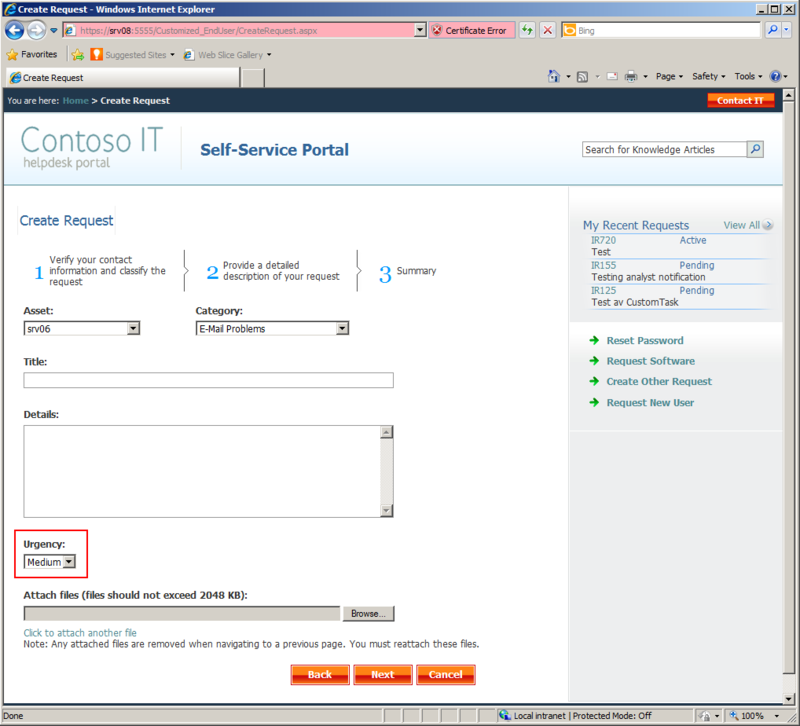 One of the new features that the “new” portal provided, was the ability to let end users updated their incidents. That is a really nice feature but wouldn’t it be good to notify the assigned analyst that the end user has updated the incident? 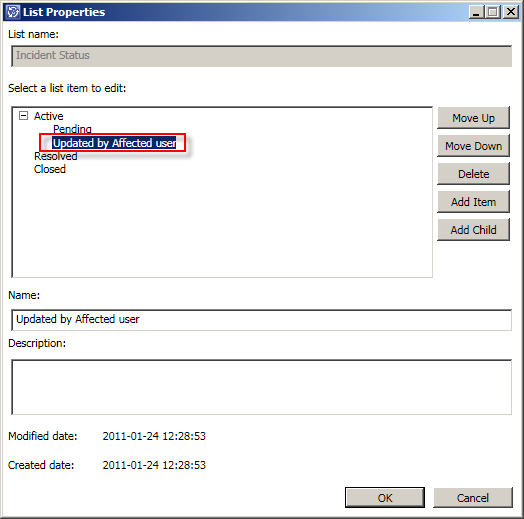 To achieve that, we are going to modify the SSP so that when an end user updates his or hers incident, we are changing the status of the incident to “Updated by Affected user”. 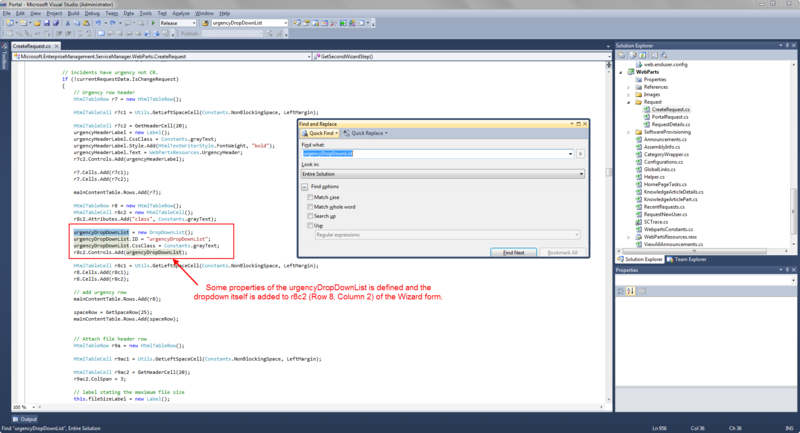 In that way we could create a regular workflow inside Service Manager to notify the assigned analyst. To start with, open the Service Manager console and go to Library –> Lists. 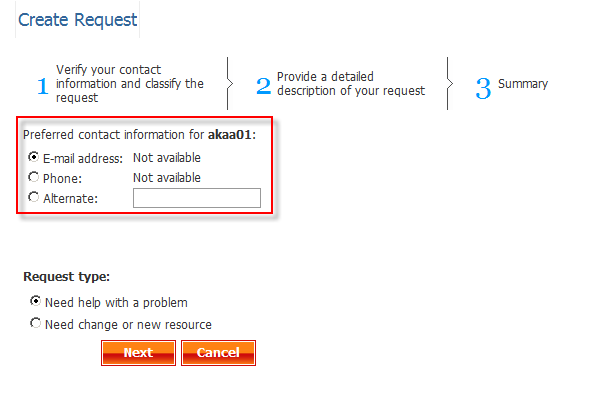 Locate the Incident Status list and open it. Mark Active and press Add child. Give the new list item a name, such as “Updated by Affected user”, then press Ok.
Now we need to find out the enumeration value for this list item. 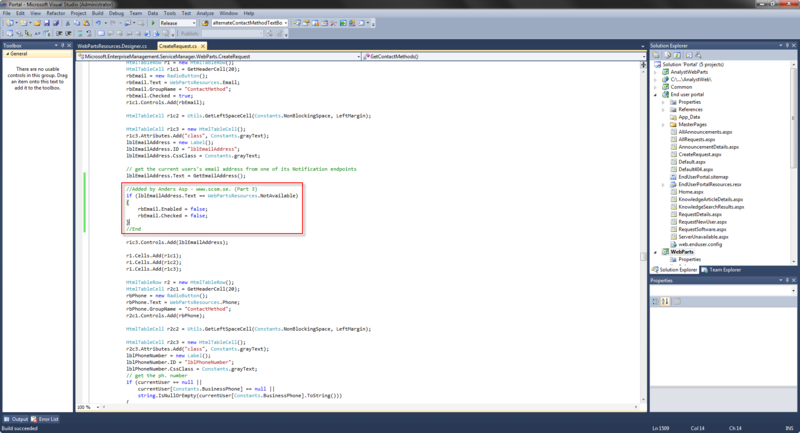 To do so, we’re going to export the Management Pack in which it is stored. 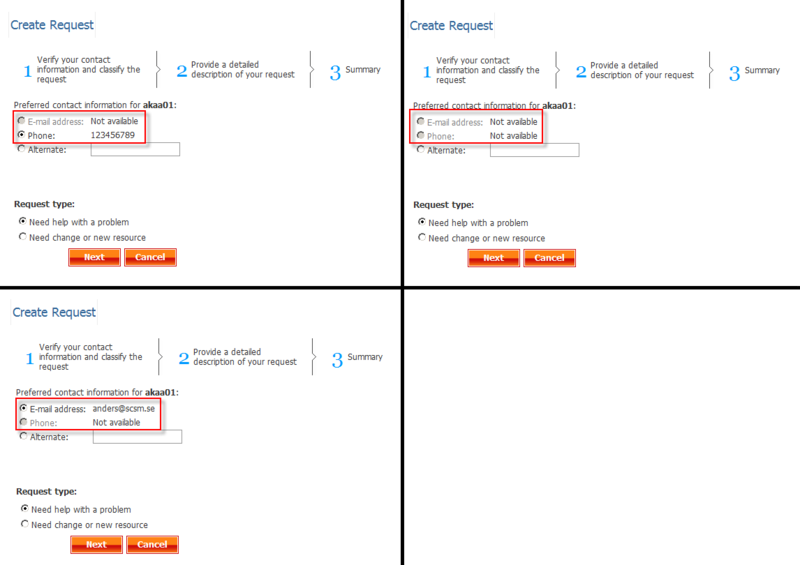 Go to Administration –> Management Packs and locate the “﻿﻿﻿﻿﻿Service Manager Incident Management Configuration Library” management pack. Export this management pack. Copy the ElementID (Enum.b0a54eb92f6a4ee7a2016e3fc154b204), we are going to use it in an SQL query soon. 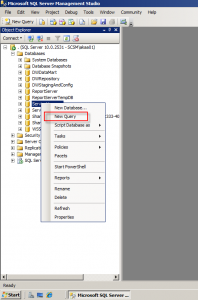 Go the SQL server where the Service Manager database is stored, open the SQL Server Management Studio, locate the Service Manager database, right click it and select New Query. Run this query, and be sure to replace <ENUM> with the enumeration value we copied in step 4 (in my case “Enum.b0a54eb92f6a4ee7a2016e3fc154b204”). 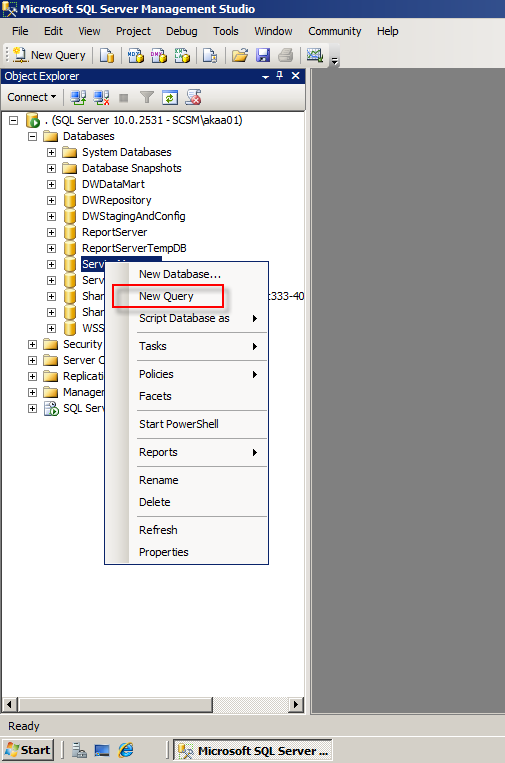 One line should be returned when running the query. Copy the EnumTypeId that is returned (in my case 401F45DE-1745-5AFB-9767-F412FB48835E). 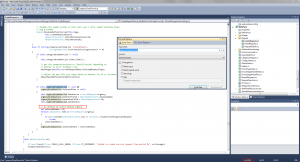 Start Visual Studio and load your SSP project. 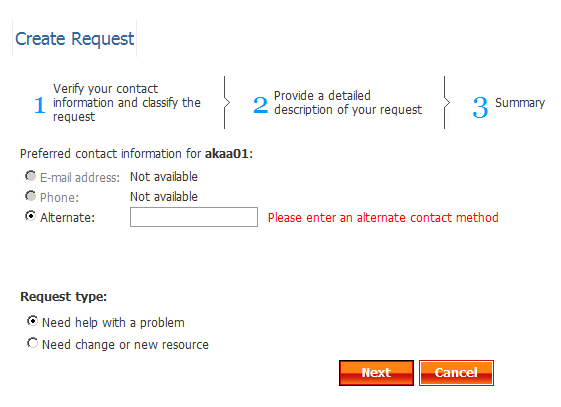 This is where the Update Request button is added to the page. Line 7 (line 568 in VS) is the one that we are interested in, cause that is what is happening when someone presses the button. Click on updateRequestButton_Command to place your marker there, then press F12 to bring you to the definition of updateRequestButton_Command. 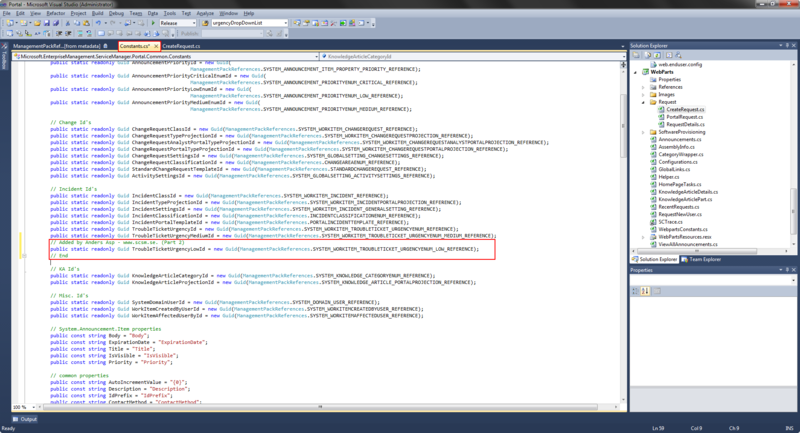 This will take you to line 997 in VS and to the code that looks like this (please read the comments in the picture): So click on UpdateIncidentInternal to place your marker then, then press F12 to go to the definition. If we would build and deploy this to the SSP now, all resolved incidents that our end users comments, would get the status “Updated by Affected user”. But we want to make this happen on all types of incidents, regarding their previous status. And with that change, we are all done. 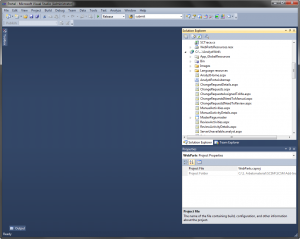 Build and copy the modified DLL files to the SSP server. 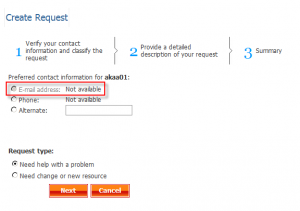 As soon as someone updates an incident from the Self-service Portal, the status of that incident will change to “Updated by Affected user”. You should also consider applying a template that changes the incident status back to Active when this workflow is triggered, otherwise you might miss notifications if an end user does comment the incident several times. 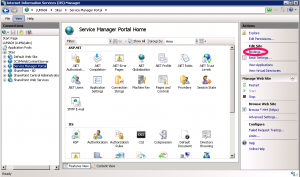 The source code for the Self-service Portal (SSP) has been released for a while and along with the code you got the option to use an upgraded version of the portal. This upgraded version includes a completly new look, a couple of bug fixes and some new features. That is all great, but there might still be some minor things that you want to change with the portal, and that’s why I’m starting this series of blogposts regarding minor modifications of the SSP. Before we start, I just want to add a disclaimer: I’m not a developer and this is all new to me. All code is provided “as is” and I do not give any warranties or take any responsible for any errors that might occur. Before I start this series of blogposts “for real”, we need to make sure that you have made any preperations required to follow the serie. 3. 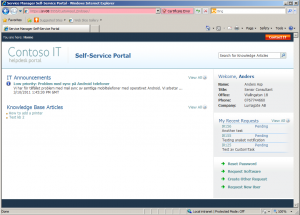 Since we will be working with the upgraded version of the portal, we need to deploy it into our test/lab/development environment. 3.1. 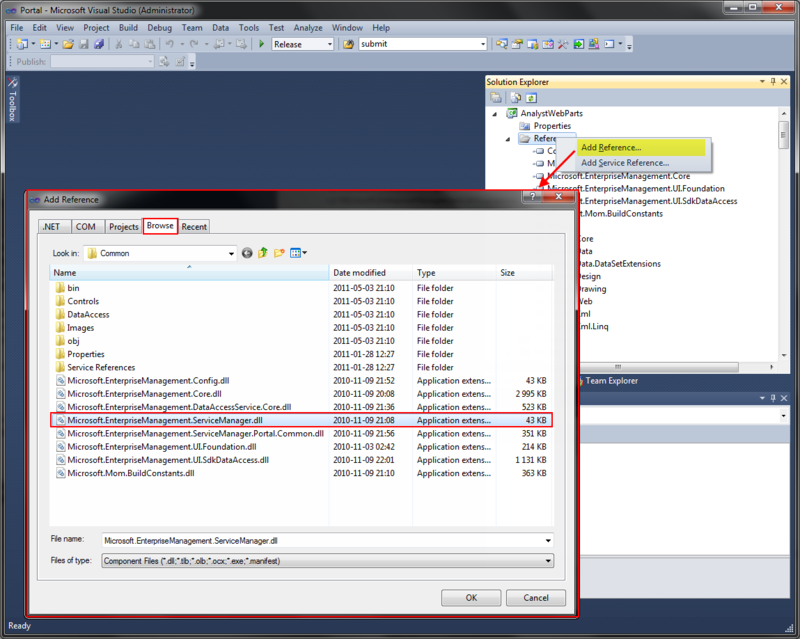 Locate the zip-file containing the updated SSP (..\SCSM2010SP1PORTALSOURCERELEASE\NewExamplePortal.zip) and extract the files. 3.2 Browse the extracted files and rename the EndUser folder to Customized_EndUser and Analyst to Customized_Analyst. 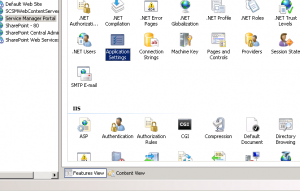 3.3 Copy Customized_EndUser and Customized_Analyst to %systemDrive%\inetpub\wwwroot\System Center Service Manager Portal\ on your SSP server in your test/lab/development environment. 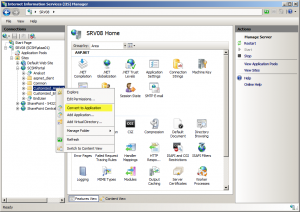 3.4 Open IIS Manager and locate the SCSMPortal. 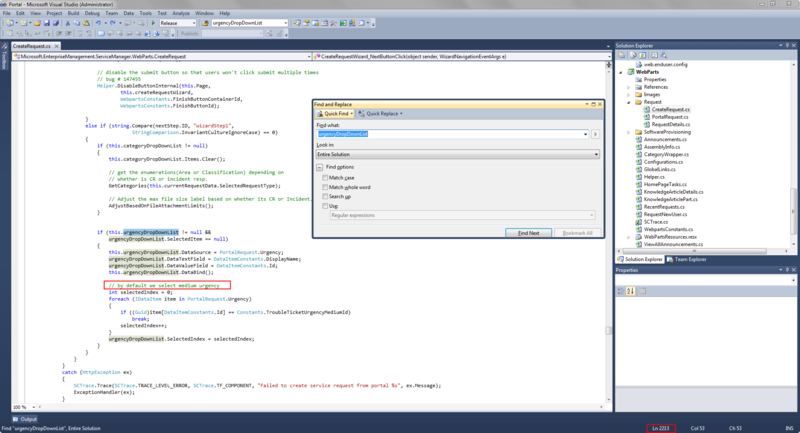 Now, right click the Customized_EndUser folder and choose Convert to application. Repeat for the Customized_Analyst folder. 4. Open Internet Explorer and browse https://<SERVERNAME>/customized_enduser. If everything was done correctly, the updated SSP should now be displayed. 6. Copy the reference binaries listed below from %systemDrive%\inetpub\wwwroot\System Center Service Manager Portal\EndUser\bin\on the SSP server into the ..\SCSM2010SP1PORTALSOURCERELEASE\SourceCode\New\PortalSource-New\Common folder in the Visual Studio solution. These assemblies can then be used to resolve the VS project assembly references. 7. StartVisual Studio and open the project for the updated SSP. 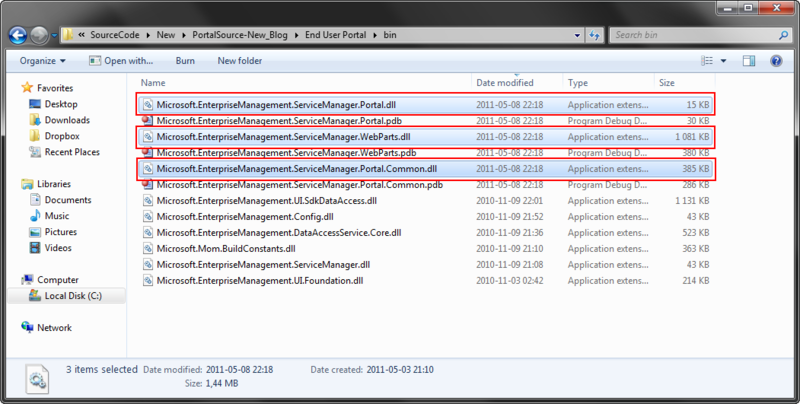 This file should be named Portal.sln and was extracted in step 5. 7.2 Note the name of the file with an exclamation mark, remove it from the project, and add it again. 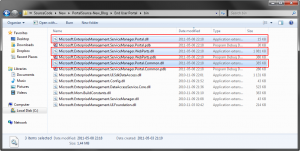 We copied all these files in step 6, so you should be able to find all the files needed on this path: ..\SCSM2010SP1PORTALSOURCERELEASE\SourceCode\New\PortalSource-New\Common. Repeat this step for all files with an exclamation mark. 8. When you’ve finished replacing all the broken references, we are actually finished with all the preparations. But as a final step, lets build our solution to make sure we won’t get any errors before we even got started with the modifications! 8.1 Build your solution by pressing F6 or by clicking Build Solution under Build in the main menu. 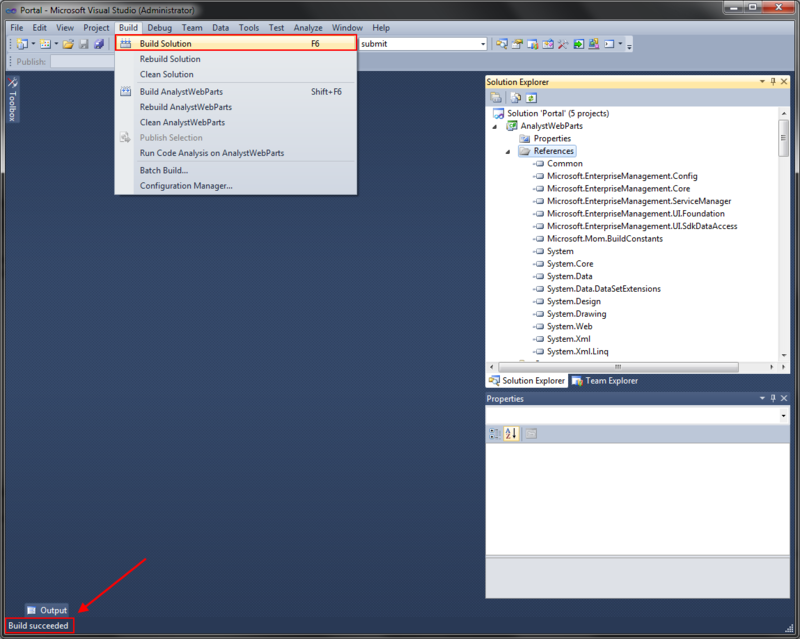 8.2 Make sure that “Build succeeded” is displayed in the status bar on the bottom of the left hand side of the screen. And that’s it. We’ve installed Visual Studio, “installed” the updated SSP and corrected the broken references in the Visual Studio project. We are now ready to begin editing some code!